Romantaque stands for hair destroyer. Inspired from ancient indian language of Ayurveda, I,e Sanskrit ‘Rom’ means hair, and ‘Antak’ means destroyer. ‘Romantaque’ is destroyer of hair. 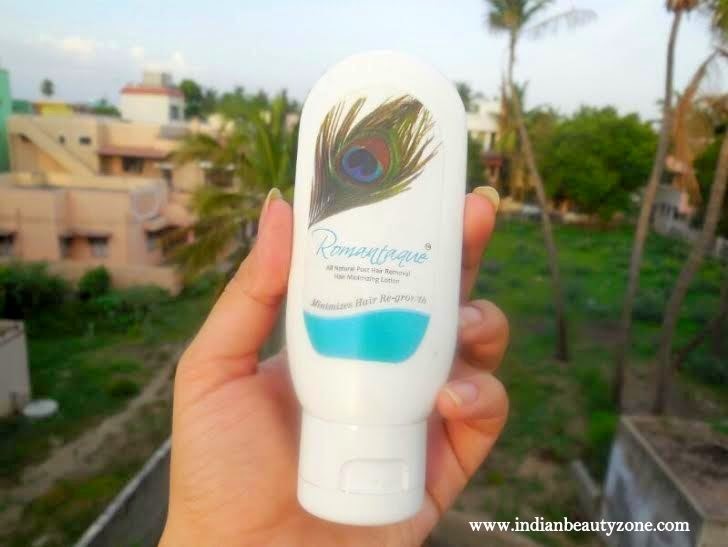 Romantaque is designed for unwanted hair on arms, legs, face (chin, upper lip and side locks), underarms, eyebrows, ear lobes (pinna) and bikini line. Romantaque in latest version, is powered by latest technology, which is waiting for grant of patent to enhance the speed of the treatment, and to fight the doggedness of hair to grow back. This hair follicle targeted cutting edge technology delivers the actives of Romantaque precisely to the hair follicle making it highly efficient in reducing the hair re growth. Consistency to apply Romantaque for the user, twice a day for 10 days, after each hair removal cycle, would certainly show wonderful results. Romantaque is designed to get absorbed through the orifice of the hair to the hair root( hair follicle) and influence the hair manufacturing factory, without affecting other skin structures. 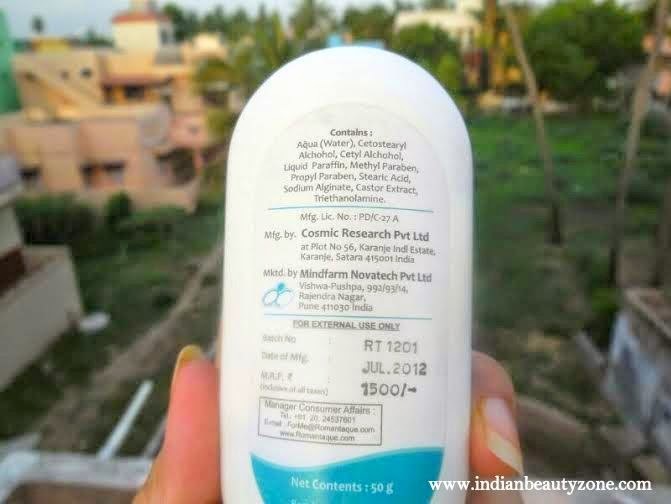 Hence it is very important to apply it on normal intact skin so as to avoid its contact with skin structures which are exposed when the skin has cuts, abrasions, wound and fresh scar. 1. 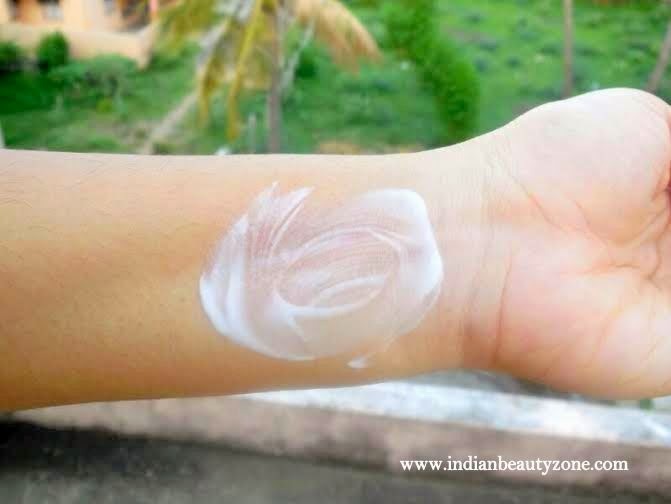 Patch test is necessary to be done by first time users as well as when used on a new body part. 2. For best results, unwanted hair should be removed from the root e.g by waxing, plucking, threading, epilation. Even depilation will do but the effect will take longer to take. 4. After every hair removal, apply Romantaque for 10 days – twice a day to the normal intact skin. 5. Apply directly onto the skin spreading the lotion evenly to a thin layer. It gets absorbed into the skin like a moisturizer. 6. If necessary, wash the area only after 30 minutes of application. For best results apply Romantaque lotion after each hair removal session twice a day for 10 days. This lotion comes in a white plastic packaging with a flip flop cap. It is convenient to use and is travel friendly. The lotion is white in color and is on the runny side. The lotion has a pleasant fragrance which doesn't disturb much. The consistency is on the thinner side. The texture is very lightweight and spreads so easily. It doesn't feel heavy or greasy. damn impressed and happy. Also it dint cause any allergic reactions. • Does what it claims! • OH MY GOD! The price!!!! 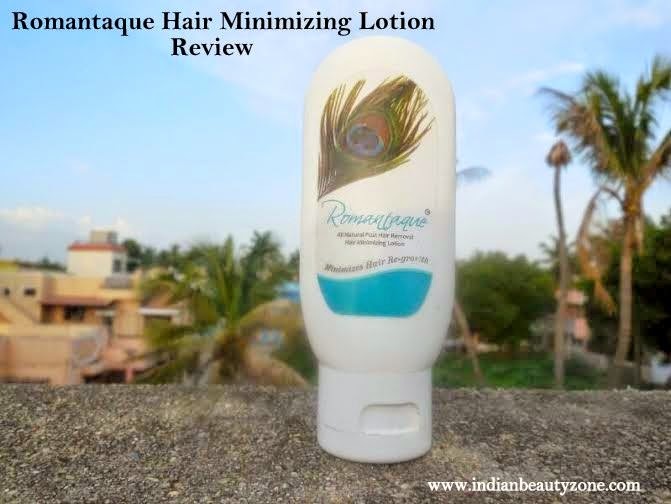 DO I RECOMMEND ROMANTAQUE HAIR MINIMIZING LOTION? Not really! The price is on the higher side but if you are in search of something like this you could definitely get this. What a great review! Never heard or tried something like it so this was nice to read. i love this lotion. Lovely review dear! 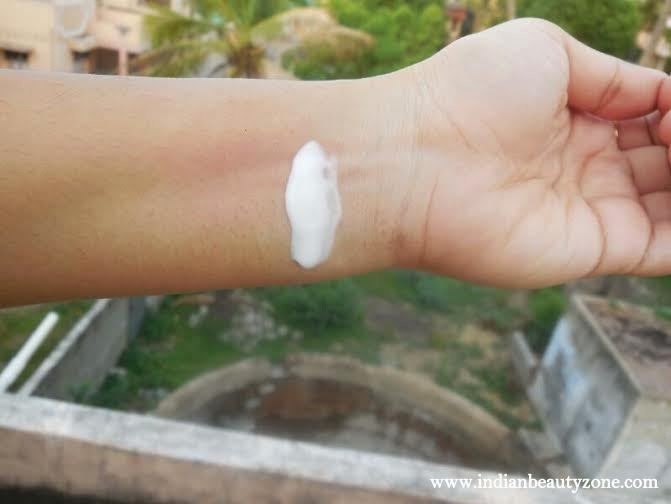 Romantaque has evolved over a period of a decade of research and gives an alternative to high price options of alternative approaches that are not meant for Indian skin. It would be worthwhile to compare results yourself vis-a-vis other options available for Unwanted Hair Removal. Seems like a great product! But the price made me sweat!